However, even better than dividend stocks in general are dividend growth stocks, which studies have found to outperform the broader market over time. This is because companies that pay growing dividends, such as Dividend Aristocrats, need to be more careful and selective with their capital allocation, meaning maintain stronger balance sheets and only invest in the best growth opportunities. Of course, finding great dividend growth stocks, and building a high-quality dividend portfolio isn’t always easy. You need to not just focus on the size of the current yield and potential payout growth potential but also make sure that a company’s earnings and cash flows can make the dividend reliable and secure. All of that said, you have to start somewhere. While many investors gravitate toward stocks with long histories of dividend growth, some of the best opportunities are presenting themselves in relatively new dividends. Their long dividend growth runways could be just beginning or set to ramp up, making them interesting candidates for our Top 20 Dividend Stocks portfolio. Crown Castle International Corp (NYSE:CCI) is the higher-yielding choice of the fast-growing telecom real estate investment trusts (REITs), which own and rent out cell towers to major wireless providers (the other being American Tower Corp (NYSE:AMT)). Of course, the growth thesis for this REIT is that wireless data continues to grow at an exponential rate, which means demand for cell towers is only likely to keep growing for decades. For example, between 2014 and 2020, wireless data — from things like phones, tablets, and machine to machine chips (the internet of things) — is expected to increase almost tenfold. And as with most REITs, the goal of owning these companies is the dividend. This payout is made possible by long-term contracts with annual rent escalators with some of the largest, and most financially stable counterparties such as AT&T Inc. (NYSE:T) and Verizon Communications Inc. (NYSE:VZ). These stable cash flows allow for the generous yield of 4.1%, as well as management’s stated goal of growing the payout by 7% per year. This should produce an expected long-term total return of 11.1%. And given that Crown Castle’s just announced 2017 dividend (up 7%) would have consumed just 77% of this past quarters AFFO/share, investors can have confidence in the security of the payout. Better yet, this past quarter’s AFFO per share grew 17%, and full-year AFFO per share grew 10%. With management guiding for 9% growth in 2017, investors have a realistic expectation of the REIT making good on its growth guidance. Plus, the lower payout ratio over time will only further solidify the already safe dividend. Gilead Sciences, Inc. (NASDAQ:GILD) has been one of the best biotech stocks to own since its 1989 initial public offering, with shares rising more than 10,000% over the past quarter-century. Even more exciting for income investors is that GILD became a dividend stock in 2015, making it one of the best new additions you can make to your diversified income portfolio. Because while Gilead’s dividend track record may not be long, its payout profile has the makings for one of the best dividend growth stocks over the next decade. For example, with a trailing-12-month free cash flow (FCF) payout ratio of just 14.4%, Gilead’s dividend is extremely secure and likely to grow in the future. 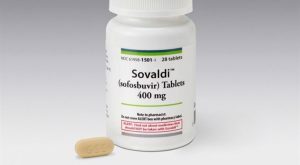 That’s even with its sales of blockbuster Hepatitis C drugs Harvoni and Sovaldi falling over the past year and a half. That decline, by the way, is largely due to what’s known as the warehousing effect. When the drugs — which have cure rates of 90%, and superior safety profiles to rival drugs — were about to be approved, doctors held off starting new patients on treatment until they came onto the market. This resulted in Gilead’s sales tripling in just two years. A sales decline was inevitable, and the market has overreacted immensely, selling the stock down 35% over the past 18 months. However, with a development pipeline of 30 drugs, including just approved blockbuster potential Epclusa, (which is expected to generate sales of $10 billion per year), these sales declines are likely to bottom in the coming quarters and turn around. This is creating a massive buying opportunity. Management is taking full advantage with a giant buyback program that is likely to make future FCF-per-share growth even stronger, and allow for many more years of double digit dividend growth. This could make the most undervalued biotech in America a fantastic long-term investment at current prices. Just make sure to know the risks, too. We snuck Broadcom Ltd (NASDAQ:AVGO) in here, as it was just outside the bubble because it began its dividend in December 2010. AVGO is one of the best ways for dividend growth investors to profit from the rise of smartphones and the internet of things. Broadcom is an industry leader in networking, broadband, connectivity, and 4G LTE computer chips, and its products are dominant in most of today’s most popular smartphones. The biggest growth catalyst for Broadcom is the international adoption of 4G LTE telecom standards. For example, while the U.S. and other developed markets such as Europe are now fully transitioned to 4G wireless networks, most of the world is still on 3G. In fact, between 2014 and 2019, Ericsson predicts that global 4G penetration will grow from 27% to 65%. And since 4G LTE involves 43 different frequency bands and counting, Broadcom’s radio frequency filters are a vital component to allow modern phones to operate. Better yet, because Broadcom’s management team is one of the best in the industry, it knows how to gain market share and generate impressive sales growth, both organically and through major acquisitions (four purchases in the last few years). AVGO boasts a low 32.6% FCF payout ratio and ever-improving economies of scale that make this industry leader into a cash-printing machine. Broadcom investors can benefit from not just a very safe dividend, but one that is likely to continue growing at a double-digit clip for many years to come. First, Delta Air Lines, Inc. (NYSE:DAL) came out of bankruptcy with a far stronger balance sheet and better labor terms with its unions. In fact, it just renegotiated a new contract with its pilots that means no threat of major strikes for the next few years. In addition, thanks to low fuel prices and industry consolidation over the past few years, Delta is earning record profits. More importantly, DAL’s generating rivers of free cash flow, almost $5 billion in 2015. So even though Delta just raised its dividend by 50%, the current payout of 2% translates into a rock-bottom FCF payout ratio of just 11% over the past 12 months. Delta’s dividend remains very safe, and set to continue growing strongly for years to come. 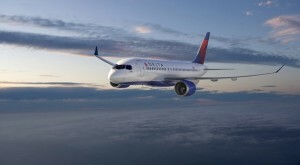 Investor concerns over short-term overcapacity, the August IT fiasco, and the potential for rising fuel costs (which the company plans to counter with fuel hedging, and a more modern and fuel efficient fleet), means that Delta is one of the most undervalued stocks in this frothy market. DAL trades at just 4.2 times operating cash flows. All that adds up to a solid long-term buying opportunity for a company that is set to benefit from the fast growth in global air travel over the coming decades. AbbVie Inc (NYSE:ABBV) — spun off from Abbott Laboratories (NYSE:ABT) in 2013 — is a giant in the fast-growing immunology drug segment. Humira, its biggest drug, is the best selling drug in the world, thanks to being an effective treatment for rheumatoid arthritis, psoriasis, and Crohn’s disease. In fact, despite going off patent in late 2016 in the U.S. and 2018 in Europe, management expects Humira sales to continue to increase and reach $18 billion by 2020. The key is the biologic nature of the drug, which makes it much harder for rivals to make generic versions of. However, eventually biosimilar competitors are likely to eat into its market share. So in addition to immunology, management is counting on the massive cash flows from high-margin Humira to fund the development of AbbVie’s drug pipeline. Management is putting a special emphasis on blood cancer medications such as its upcoming blockbuster Imbruvica, which analysts believe might achieve $6 billion a year in peak sales. And with a FCF payout ratio of 46.4% — low for a high-yield pharmaceutical company — AbbVie’s very generous 3.7% yield remains as safe as a Volvo. Analysts expect AbbVie’s dividend to grow at 11.9% compound annual growth rate over the next decade, resulting in potential total returns of 15.6%. Like Broadcom, Skyworks Solutions Inc (NASDAQ:SWKS) is a great long-term investment into the future of mobile and the internet of things, or IOT. Its RF chips, power amplifiers, filters and front-end modules are found in some of the most popular and well-known phones such as those produced by Apple Inc. (NASDAQ:AAPL), Samsung (OTCMKTS:SSNLF) and Chinese phone giant Huawei. Because the company currently generates 75% of its revenue from mobile, and 44% from Apple’s iPhone in particular, Skyworks is diversifying into IOT chips, which are being pushed hard by industrial giants such as General Electric Company (NYSE:GE), which is rolling out the company’s chips in medical, industrial, and infrastructure products. This is a necessary step to ensure its dividend’s safety, because while the future market for 4G LTE chips is bound to be huge, margin pressure is likely to come from the consolidation of the smartphone industry. Specifically, as Apple, Samsung, Huawei, and other manufacturers gain market share, they will increasingly be able to exert pricing pressure that could put the squeeze on Skyworks’ FCF margin, which are currently 16.5%, up from -2.9% a decade ago. Skyworks’ dividend eats just 36% of trailing-12-month FCF, so it’s extremely safe, and analysts expect it to grow very quickly over the next decade. It’s too early to tell whether or not analyst’s sky-high expectations for forward dividend growth are realistic. However, I am confident that Skyworks should easily be able to achieve double-digit payout growth over the next few years. NetEase Inc (ADR) (NASDAQ:NTES) is one of China’s most popular internet portals, operating in three sectors: online games, e-commerce and email and advertising. The big cash cow is the gaming division, which has led the company to an average sales growth rate of 40.6% over the past three years. 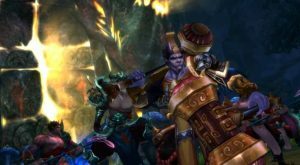 Better yet, NetEase shows no signs of slowing down, with total revenue growth in the most recent quarter soaring an astounding 96% year-over-year. That’s courtesy of 72% growth in game revenue, and 311% growth in its e-commerce business. And with no long-term debt, and $1.3 billion in net cash on its balance sheet, NetEase is very well-situated to continue its dominant position in the Chinese online gaming space. That’s especially true because of two main competitive advantages. First, the company is partner with video game juggernaut Activision Blizzard, Inc. (NASDAQ:ATVI) to launch popular games such as Overwatch and Hearthstone in the world’s largest market. Another reason to be bullish on NetEase is that the company is focusing more on in-house game development, which means higher margins than if it were just licensing third-party content. Investors do need to be aware of risks associated with NetEase. Most notably, understand the potential for slowing economic growth in China to hurt future sales (though there is yet no sign of this), as well as the fact that unlike U.S. companies — which usually try to avoid cutting dividends — Chinese dividend stocks are more likely to vary their payouts as earnings rise and fall. However, given NTES’ torrid and steady pace of growth, low 18.9% FCF ratio and the fact that analysts are currently predicting a 10-year dividend growth rate of 19%, I think NetEase makes an excellent long-term investment. Just don’t over-allocate capital to it. QTS Realty Trust Inc (NYSE:QTS) is a data center REIT, but with a twist. This operator of 24 data centers in five countries on four continents specializes in high-security data storage needs. Thus far it has attracted 1,000 customers, including the U.S. government, as well as numerous medical providers and financial corporations. The upside of being a dominant player in this niche is some of the highest margins, and returns on shareholder capital, in the industry. Better yet, QTS is currently working to double its capacity in its existing facilities, which should provide plenty of growth opportunities in the years ahead; especially given the growing global concerns about cyber security. QTS is a new REIT and doesn’t have much of a dividend history. From the three-year history that we do have, the company has been growing dividends at a 12% annual clip, as it generally likes to retain as much AFFO as possible to help fund its aggressive growth plans. However, that means the AFFO payout ratio is the lowest in its industry, at just 57%, making this one of the safest dividends across the REIT world. And given the bloodbath that REITs have taken over the past three months — due to the market pricing in an interest rate hike in December — now is certainly a great time to open a position in this fast-growing dividend stock. Shell Midstream Partners LP (NYSE:SHLX) is one of America’s fastest growing midstream (transportation, storage and processing) master limited partnerships (MLPs). Thanks to the vast scale of its sponsor, manager, and general partner, Royal Dutch Shell plc (ADR) (NYSE:RDS.A, NYSE:RDS.B), which has been dropping down, ie selling, its pipelines with long-term fixed-fee contracts, the MLP saw cash available for distribution grow 90% year-over-year. Shell still has around $3 billion of North American midstream assets alone that it plans to drop down to its MLP. Better yet, as the third largest publicly traded oil company on earth, has literally more than a century of global midstream infrastructure that it has constructed. Potentially all of this could end up being sold to Shell Midstream, because this is a highly tax-efficient way for Shell to recoup the cost of constructing these assets. Meanwhile, Shell Midstream continues to grow its distribution (a special tax-deferred form of dividend) at a mind boggling pace. In fact, the MLP just raised the payout 5.5% from last quarter, which represents a 28.7% year-over-year increase. And lest you be concerned about the security of the distribution, the most recent quarter’s distribution coverage ratio was a rock-solid 1.4 (anything over 1.1 is considered safe) and has been rising over time. That not only makes this one of the safest payouts in the MLP space, but it also means that Shell Midstream Partners is choosing to retain a larger amount of its cash flow each quarter. Which in turn means an exponentially larger source of free capital with which to fund future growth, and less need for diluting existing shareholders through the secondary stock offerings that are the hallmark of this industry’s business model. In other words, thanks to the longest growth runway of any MLP in America, a conservative management team that never sacrifices safety in the name of payout growth, and a generous yield courtesy of a strong recent sell off, now is the time to add this hyper-dividend growth engine to your diversified income portfolio. Article printed from InvestorPlace Media, https://investorplace.com/2016/10/9-shiny-new-dividend-stocks/.